A classical dance form characterized by grace and precision of movement and by elaborate formal gestures, steps, and poses. Students will study classical ballet in the fall semester learning the positions, steps, jumps and turns along with terminology. All students enrolled in a ballet class will be in the Winter Ballet black leotard recital. The students will study a more lyrical version of dance in the spring semester: expressing a more personal emotion interpreting the dance with the music. The spring semester routine will be featured in the spring recital. Students will study the tumbling portion of gymnastics including but not limited to: forward and backward rolls, handstands, cartwheels, roundoffs, walkovers. Tumbling aides used such as balance beam for balance and alignment, mini trampoline for jumps, tucks and alignment, smart spotter for walkovers and handsprings. The fall semester will be focused primarily on teaching tumbling skills. The spring semester will continue with skill development in addition to teaching a routine to music that incorporates the skills learned to showcase for recital. Rooted in jazz...but with more "funky style". Hip Hop is rhythmic movements to music, using prearranged or improvised steps and gestures, inspired from the hip-hop culture and lifestyle. Students will learn basic movements and hip hop tricks during the fall semester and begin putting a routine to music together to showcase for the spring recital in the spring semester. 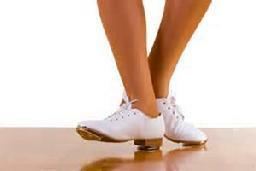 A type of dance in which the dancer wears "jingle" taps that are installed on shoes. Usually on the downbeat of the music and closly related to tap dancing however clogging tends to use the entire bottom of the foot where tap dancing is a bit more isolated in using the toe and heel in separate steps. Students will learn basic steps and combinations in the fall semester and begin working on putting a routine to music to showcase in the spring recital during the spring semester. Tap dance is a style in which the rhythm or rhythmical variation is audibly tapped out with the toe or heel by a dancer wearing shoes with special hard soles or with taps. Jazz style dancing is energetic and fun, consisting of unique moves, fancy footwork, big leaps and quick turns. To excel in jazz, dancers need a strong background in ballet. 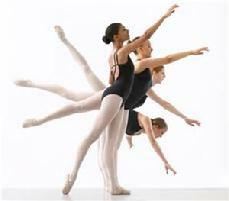 Jazz style dance is rooted in ballet but is more upbeat. This is a combination class in which basic moves, techniques and steps are learned in the fall semester. The spring semester these steps will be integrated into a routine to music for both the tap and jazz and two routines will be performed in the spring recital.